Carbon Equivalent (CE) takes Positive Material Identification (PMI) a degree further. 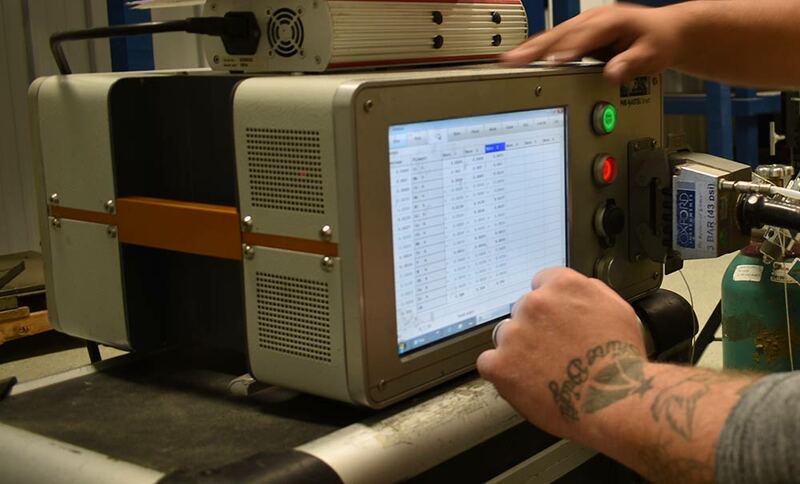 PMI testing delivers composition of metals and alloys. However, carbon equivalency is the process of taking the information from these compositions and inserting them into a mathematical formula which will in turn help determine the weldability of the tested items. Higher concentrations of carbon and other alloying elements such as silicon, manganese, chromium, copper, molybdenum, vanadium, and nickel tend to increase hardness and decrease weldability. However, each of these elements influence both the hardness and weldability of the steel in different magnitudes. This is why the formula was created to help determine a more universal system in determining which materials are more suitable to be welded on than others. The Carbon Equivalency formula utilizes Optical Emission Spectroscopy (OES) analysis. The percentages of material make up can be recorded and input into the CE formula.